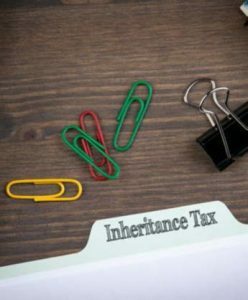 His letter asked the OTS to look at the technical and administrative issues associated with IHT, the process of submitting returns and paying the tax. Mr Hammond also called for a review of the issues surrounding estate planning, and whether the current framework causes ‘distortions’ to taxpayers’ decisions regarding investments and transfers. In the 2016–17 tax year, HMRC raised a hefty £4.84bn in IHT, brought about largely by rising property prices that are seeing more and more families drawn inexorably into the tax net, despite doing nothing more than owning their own home. IHT has certainly made several aspects of financial planning more complex. With the Bank of Mum and Dad currently a major source of funding for house purchases for first-time buyers, the operation of the seven-year rule is becoming a key issue that needs careful consideration in effective tax planning. The annual tax-exempt gift allowance of just £3,000 arguably needs a major overhaul, as does the out of date amount of £5,000 that can be given away to offspring on their marriage. Since the advent of pension freedoms in 2015, it has become more tax-efficient to pass on a pension than an ISA, meaning that some people have found themselves viewing their retirement savings in a whole new light. More controversial still was the recent introduction of the Residence Nil Rate Band (RNRB) which is both complex in its application and divisive in its outcomes. Former MP and now TV personality, Ann Widdecombe, was particularly incensed that under RNRB rules she wouldn’t be able to benefit by leaving her home to her niece, as the regulation only covered direct descendants, which she doesn’t have. RNRB, the simplest and fairest thing to have done would have been to increase the Nil Rate Band to a limit that bore some correlation with the rise in house prices. Hopefully, that’s one of many thoughts currently crossing the minds of the team at the OTS. It is important to take professional advice before making any decision relating to your personal finances. Information within this newsletter is based on our current understanding of taxation and can be subject to change in future. It does not provide individual tailored investment advice and is for guidance only. Some rules may vary in different parts of the UK; please ask for details. We cannot assume legal liability for any errors or omissions it might contain. Levels and bases of, and reliefs from, taxation are those currently applying or proposed and are subject to change; their value depends on the individual circumstances of the investor. The value of investments can go down as well as up and you may not get back the full amount you invested. The past is not a guide to future performance and past performance may not necessarily be repeated. If you withdraw from an investment in the early years, you may not get back the full amount you invested. Changes in the rates of exchange may have an adverse effect on the value or price of an investment i n sterling terms if it is denominated in a foreign currency. Taxation depends on individual circumstances as well as tax law and HMRC practice which can change. The information contained within this newsletter is for information only purposes and does not constitute financial advice. The purpose of this newsletter is to provide technical and general guidance and should not be interpreted as a personal recommendation or advice. At the start of the year, UK shareholders saw a sharp increase in dividends as global pay outs hit a record high. Global dividend pay outs soared 10.2% to $244.7bn, making it a record-breaking Q1 for shareholders across the globe. According to investment firm Janus Henderson, dividend payments to shareholders in the UK in the first quarter of the year grew by over 21% to $18.7bn (£16.4bn) from $15.4bn (£13.5bn) in Q1 last year. The report outlined that this figure was lifted by a variety of factors, including: a special dividend from Sky, the addition of new companies to the index and British American Tobacco’s first quarterly dividend. Adjusted underlying growth, taking these factors into account, was a more modest 4.2%. Continental Europe registered dividend growth of 3.9%, whilst an 8% increase in pay outs was experienced in the US, boosted by President Trump’s corporate tax cuts. In the first three months of the year, US companies increased dividend payments by 5.2% to a record $113 bn, with financial, healthcare and tech stocks recording the highest growth. Shareholders have benefited as corporate profitability rises.